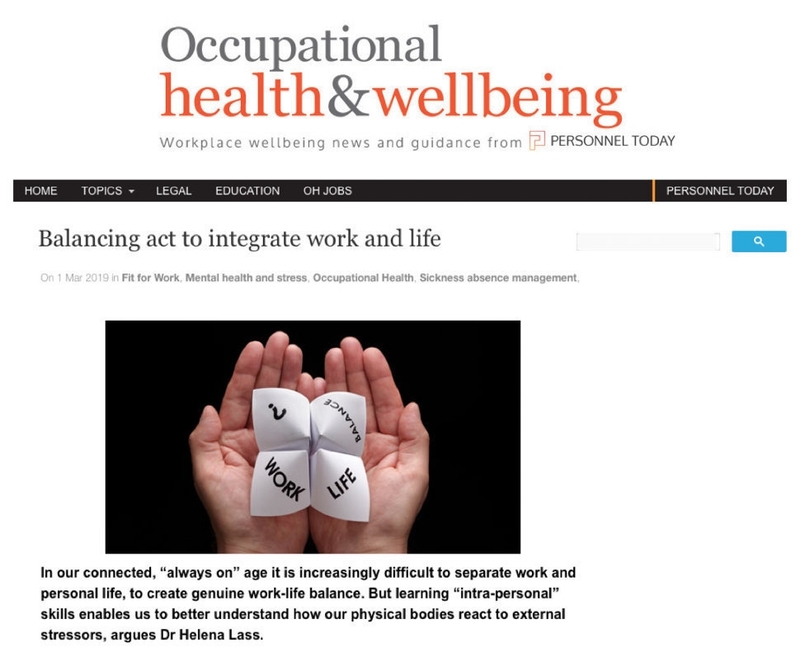 In her latest article, 'Balancing act to integrate work and life', published by UK's leading independent HR publication Personnel Today, Dr. Helena Lass explores how intrapersonal skills enable us to stay fully focused on the actual task at hand. HOW TO HANDLE INTRAPERSONAL PROCESSES? The use of modern portable devices and laptops instead of fixed phones and desktop computers in the office means there is no longer a clear distinction line between work and life. We can be at work – in the car, at the shops, during the holiday or when with friends or family members. We are connected to our work 24/7 and working is no longer confined to a permanent location for most of us as it used to be. Being constantly online and accessible has caused a shift in the way we conduct our lives and business. It is one of the reasons people feel increasingly stressed and one of the main contributing factors in why we find ourselves in the midst of an unfolding mental health crisis. However, the problem is not “out there”, rather in the lack of the skills that could support us in the midst of these new challenges. More precisely, there has never existed a structured education on handling the intrapersonal processes – how to handle compulsive thoughts and worry, emotional pressure, motivation, attention etc. Education on how to integrate the different aspects of life is one of the most valuable assets one can acquire. 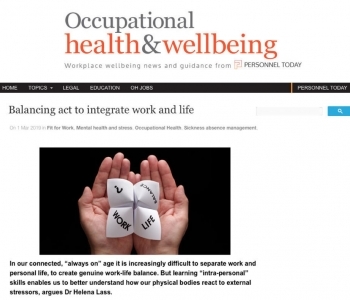 HOW TO ACHIEVE WORK-LIFE INTEGRATION? Work-life integration is still possible, it just demands a different set of skills than before. Reading this proactive mental wellness article enables you to understand how to re-evaluate your ways to work in our modern hyperconnected world so that your personal life does not suffer. Intrapersonal skills are not only related to work-life integration, knowing how to lead your own inner domain can also improve productivity, reduce toxic work environment and improve employee engagement. Learning intrapersonal skills is now easy, all you and your employees need to do is to take part of high quality e-training ‘Well Fit For Work'. By learning, training and directing intrapersonal skills we also lead ourselves towards better mental wellness. If we are mentally well, then we work well and live well. Take me to e-training: "WELL FIT FOR WORK"